According to Denis Parfenov the situation in Venezuela, is one more example of flagrant violation of International Law and provisions of the UN Charter by the US and other countries following American intervening in the internal affairs of the Bolivarian Republic of Venezuela. The Parliamentarian stressed that the overthrow of the legal national leader under the pretext of restoration of human rights and true democracy was a cynical American methodology which had been already tested in Iraq, Libya, Georgia, Ukraine and even in Russia during the 1990s. Today Russia is obliged to support Venezuela and its legal president on the international level and to prevent plundering of this country by liberal dissenters headed by Juan Guaido. 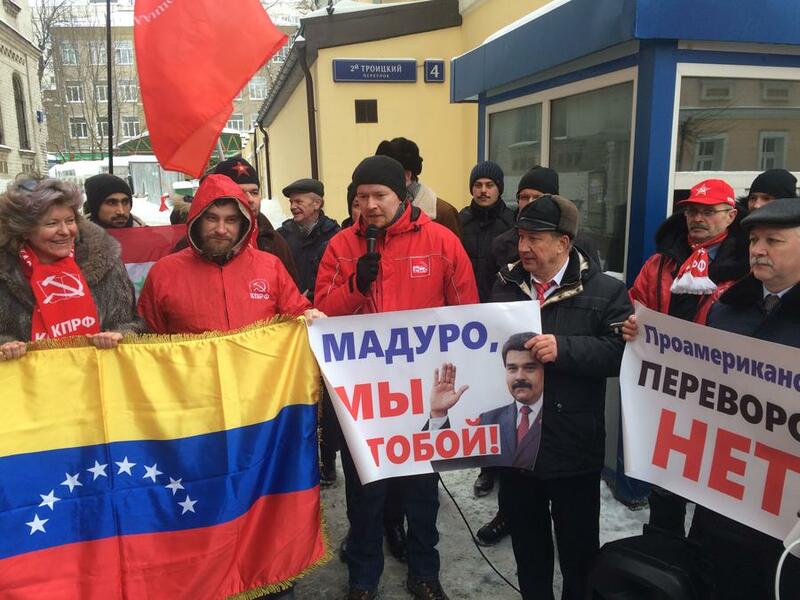 Rally participants call on all progressive forces of the world to oppose the US – led coup attempt and support the only legal President Nicolas Maduro. This entry was posted in Uncategorized on January 28, 2019 by International Department.